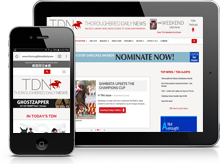 Due to a power outage at TDN headquarters in Red Bank, New Jersey, the Apr. 14 edition of the newsletter will not be available until Sunday morning. We apologize for the delay.